Advice given to those wishing to purchase new equipment or fine tune their current set according to their strength and skill level. Includes loft setting for woods and hybrids, lie and loft bending for forged irons, and even re-gripping in certain circumstances. 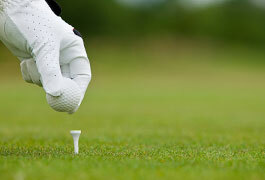 Valid keys necessary to select the highest quality woods, irons, wedges, putters, balls, gloves, shoes, and rangefinders.